Buy one of our lovely glittery Purple Rainbow Badges just £2 plus P & P or treat yourself to a Purple Rainbow Keyring just £3 plus P & P or buy both for reduced postage. Our milk bottle vases are now arriving with their new owners and here are some of the wonderful photos. 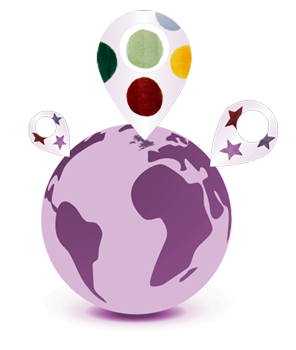 Our map shows where in the world our kind supporters are in relation to the Emma Bridgewater factory in Staffordshire. 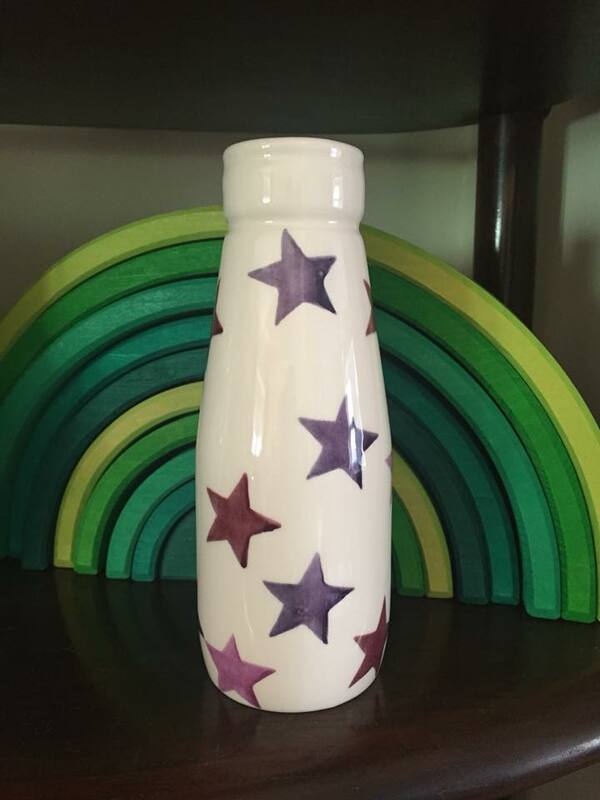 Newly updated with the purchases of the beautiful Emma Bridgewater milk bottle vase all shown in a purple pin with white stars. Nicky Murphy from the Pancreatic Cancer UK support line explains her role as a pancreatic cancer specialist nurse and explains how she supports patients and families throughout their pancreatic cancer journey. We also hear form Steve Essex who was diagnosed with pancreatic cancer earlier in 2018 he shares his story and how the nurses on he support line have help him “clear the fog” after his diagnosis. In this episode we hear from two researchers and the work they are doing to help combat Pancreatic Cancer. Dr Clare Hoskins is a senior lecturer in pharmaceutics at Keele University in Staffordshire. She tells us all about Nanoparticles (don’t worry you will understand it!) Rille Philak tells us about the research she is undertaking for her PhD. 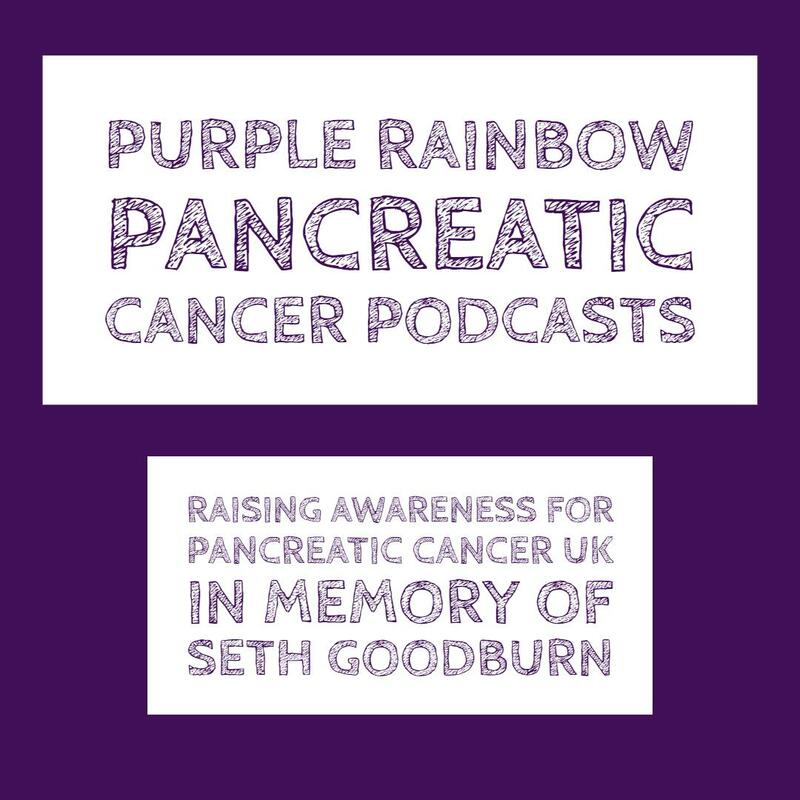 Purple Rainbow is the place where all the awareness and fundraising activities for Pancreatic Cancer UK in memory of Seth Goodburn are collated and it also features the Purple Rainbow Support Group that helps people affected by pancreatic cancer across Staffordshire. There are also sections that explain the work with the Hospice UK raising awareness about death and dying. It features the play Homeward Bound which is based on Seth’s and Lesley’s story and is a play about love, relationships, empathy and compassion at end of life, which can be used to help people consider person centred care. We raise awareness of Pancreatic Cancer signs and symptoms and host numerous initiatives to raise vital funds. © 2019 Purple Rainbow - Pancreatic Cancer Support. All rights reserved. Site by Carl Uttley (Clayturtle).